Those lucky enough to plan a holiday in the gorgeous Balearic Islands are looking to have a great time and a trip that they will never forget. An unforgettable experience is exactly what you will get if you are into extreme sports. The island of Majorca has so many opportunities for extreme sports that you’ll need another vacation just to recover. Got a need for speed? Extreme road cycling is a major extreme sport on Majorca and even Mr. Lance Armstrong himself has deemed this a favorite cycling spot. The island’s mountain trails are unlike anything else and the exhausting twists and turns will even challenge the most experienced extreme cyclist. This is definitely a challenging place to begin if you’ve never cycled before, but everyone is welcome to give it a try. One word of advice remains the same whether you are a beginner or a pro; don’t look down. If speed is your thing but hyperventilating and over-exertion are not, you may want to drop the bike and hop on an ATV. 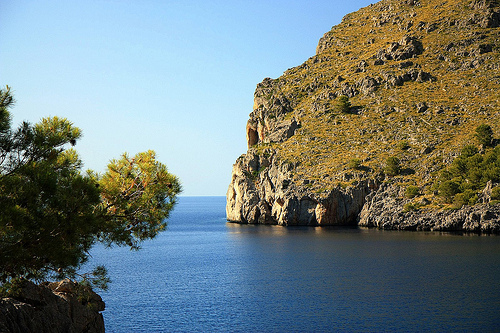 The dirt trails of Tramuntana are incredible and there are even organized tours available. You get to choose your level of extreme when you decide to take on quad biking; off-road it alone or have a tour guide to point out the best trails and bail you out if you get into trouble. Really need an adrenaline rush? Coasteering will have your heart pounding while you swim through caves, plunge down waterfalls, and try abseiling firsthand. Those who enjoy rock climbing, water, or caving will find that they can do everything they love all at once. 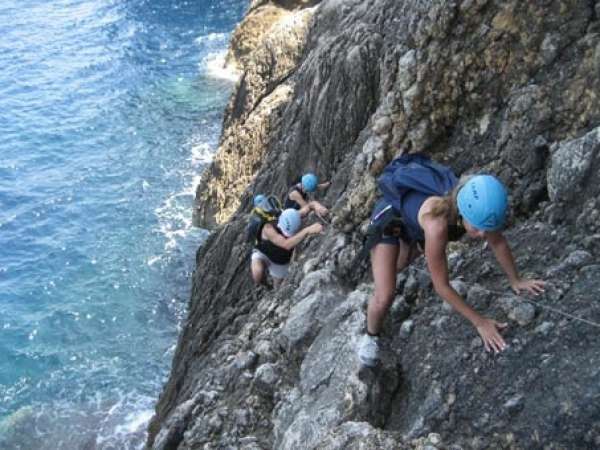 Coasteering is probably not a good choice for the faint of heart or those who struggle with swimming, but it is sure to be a thrilling adventure that you won’t soon forget. If you’ve seen the waters all around Majorca, you know how incredibly clear and beautiful they are. The fact that the water is so crystal clear makes it an ideal diving location where you will actually be able to see amazing marine life. There are several different options for divers, and each one is incredible in its own way; if you have the time, we suggest you try them all. Malgrats is an underwater nature reserve where the views are amazing. El Sech is for those looking to see a shipwreck; it has two. The Cave of the Madonna is an underwater cave that houses a life size Madonna statue. If Mountain biking, diving, or abseiling are not your choice for an adrenaline rush, cliff jumping just might be the ticket. Cala San Vincente is located on the north coast and has some incredible cliffs. The water is incredible and you’ll likely have the opportunity to take the dive with locals. Perhaps aside from the incredible rush, the best part about cliff jumping is that it’s free. Just keep in mind that the cliffs on Majorca are incredibly high and jumping from the top is not a good idea; no matter how much money is waged that you can. Whether you’re planning on taking an extreme sports holiday in Menorca or Majorca you’ll want somewhere awesome to relax after a day’s activity. After all what could be better than relaxing in a seafront Majorca villa after a day of cliff diving or quad biking? Nothing! This entry was posted in Cliff Diving, Europe, Scuba Diving, Travel and tagged Balearic Islands, Cliff Diving, Coasteering, Cycling, Majorca, Quad Biking, Scuba Diving. Bookmark the permalink.